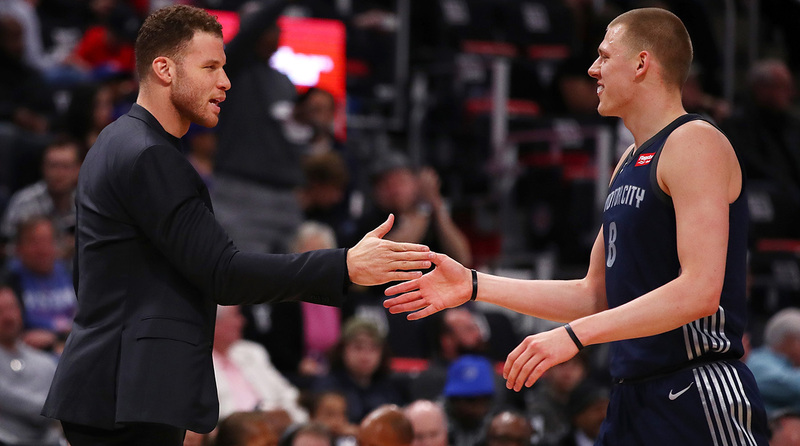 Can former first-round pick Henry Ellenson find his stride in year three? The Pistons forward opens up about what he learned from Stan Van Gundy and what he's trying to glean from his All-Star teammates. When the 2016 NBA draft is mentioned, Ben Simmons, Brandon Ingram and Jaylen Brown are the names that immediately come to mind. In the 60–player class, they're the rare few who already have it figured out, featured prominently on their teams and hoping to make the leap to superstardom in the near future. But the truth for most players selected two years ago trends closer to what Henry Ellenson has experienced. Selected at No. 18 after one season at Marquette, he’s spent his first two seasons learning on the job. Minutes have been hard to come by, as Ellenson was forced to wait in the wings behind more seasoned players at his position. If Ellenson’s outlook on the game has any bearing on his trajectory, however, he’ll likely find his way soon enough. When he spoke to The Crossover he didn’t complain about playing behind Blake Griffin and Andre Drummond, he discussed what he has learned from the two All-Star big men. He didn’t complain about his lack of minutes, he expressed gratitude for Stan Van Gundy and stated how excited he was to have Dwane Casey as his new coach. The big man averaged 15.7 points and 7.2 rebounds in 30.8 minutes in six games at Summer League last month and discussed his progression entering year three. DeAntae Prince: Now that you’re two years into your NBA career, how do you feel about how things are shaping up? Henry Ellenson: The first two years didn’t go as planned but everything happens for a reason. For me, going on year three, being able to reflect on my first two seasons, I feel like I have gotten better, I’ve grown a lot. I just can’t wait to get back on the court and I’m excited about Coach Casey and my new coaching staff. I feel like I have a great opportunity. DP: It looks like you were starting to trend upward toward the end of the year. How did it feel to get those minutes under your belt and put up some numbers? HE: Being able to play like I did last year it just lets you know that the work I have been putting in is worth it and I can play in the league. Being able to get those minutes was huge going into the summer and helped me learn what I need to work on. It’s always nice. I wish I would’ve been in the rotation a little bit more during the year, but I’ve got to just take it for what it was and go on to the next season. DP: This year brought about a few changes in Detroit with Blake coming in and Stan Van Gundy leaving the team. What are your feelings on the direction in Detroit? HE: Big change halfway through the year with Blake coming in. Him being a five-time All-Star at my position, he's a guy I can learn from. And I’ve got nothing but love for Stan. I’m grateful that he drafted me and brought me into the league. I feel like the first two years were tough being in the nine seed as the youngest guy on the team, just because Stan had to trust the vets. For me now it’s all about being able to focus on the work. And with coach Casey coming in and the new staff, being able to hear from them and learn that they’re giving me a real chance to play on the court is something I’m looking forward to. DP: From the outside looking in, it kind of seemed like there was a quick transition for Casey from Toronto to Detroit. Did that situation surprise you at all? HE: I thought we were going to find a new coach a little earlier than we did because there were rumors out there and stuff. Things didn’t happen for a while and obviously Coach Casey won Coach of the Year in Toronto and then was fired. It was crazy and it doesn’t seem right, but I’m glad we hired him and I’m excited to play for him. But when it finally happened I was just as shocked as a lot of people. DP: You guys will sort of be in a unique position in the East now that LeBron and DeMar DeRozan are both going West. Do you see a space for the Pistons to sneak into the postseason? HE: Yeah, you look at the roster and we have a lot of talent, from Reggie Jackson, Drummond, Blake, [Reggie] Bullock, Stanley [Johnson], we have a lot of talent and even on the bench too. We have a lot of guys who can play so I don’t think there’s any reason why we can’t win a playoff series and make a deep run. And I haven’t been there, you know? I’m headed into my third year but I believe and know that we’re talented enough to get there. I think that’s the mindset of everyone this summer. We’re putting in the work to have a successful year. I think guys are fired up about this season and the new change and I like the direction we’re headed. DP: You mentioned them earlier, but Drummond and Blake are two guys who have had a lot of success. What are the most important things that you’ve learned from them? HE: Being with Dre for two and then Blake for half a season, I’ve learned about the work ethic. I know it’s kind of what you expect, but they just put in so much work. It’s true. It’s no joke. I think their mindset too, you need that to be an All-Star. They do everything professionally and they lead our team. Just being able to pull away from what they do and try to learn for me I think is just huge. DP: As we’ve gone over, the summer is a time when players make a lot of strides. What exactly have you focused on? Where do you see the need to improve? HE: I’d say shooting is always important with the way the game is. I’ve just been working on the consistency of my jump shot. Making my form clean is something I’ve been focusing on this summer, working on my guide hand, getting off the ball and off to the side more. The goal is to just make a cleaner shot and have my percentages go up. For me, being 6’11”, I feel like what really makes me different is being able to handle the ball. So that’s always something I work on as well, being able to go coast to coast and make a play. I feel like in Summer League I was able to show my playmaking skills. I’m going to continue to work on that. I did make some turnovers too but it’s something I’ll keep striving for. The other thing is being able to take advantage of smaller guards and just being able to work against mismatches. DP: And do you have any specific goals for the year? Anything you’re expecting from yourself this next season? HE: I do have some personal goals. The first one is making the rotation. I want to be on the court helping our team win and I feel like I can do that. Being ready for training camp and getting in this rotation is the biggest thing.